Theatre company imitating the dog are in residence in the Nuffield Theatre throughout the first week of curate the campus. 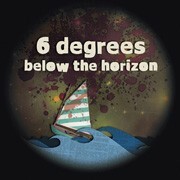 They are holding an open rehearsal to give an insight into the development process of their new show, 6 Degrees Below the Horizon. of failed dreams, lost love and the guilt of absent fatherhood. All are welcome - no booking required.